Just like other Windows operations, updating Windows 10 operating system is also important to keep the system healthy and perform better. The frequent Windows 10 updates provide the customers improved security and fixes as well for common system issues. Additionally, it also provides various new features to the users. But in many cases the updating Windows 10 causes errors. Many users are found reporting about the error 0x800F0922 windows server 2012 faced by them during the installation of KB4074588 or KB3213986. 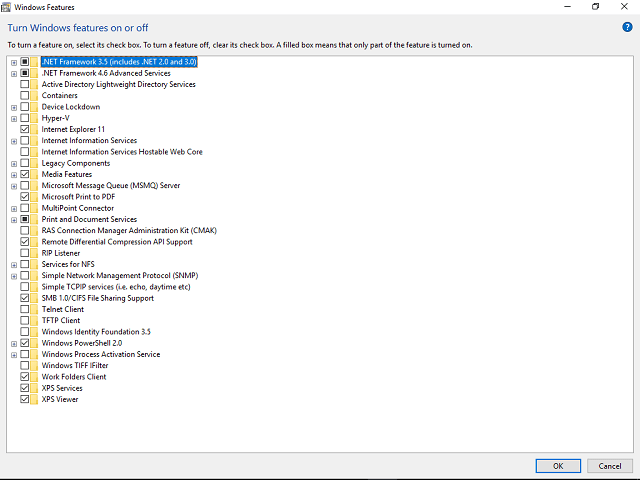 Most of the Windows 10 Fall Creators Update users report that KB4074588 frequently fails while installing and start showing various error codes. Apart from that, there are many cases that cause Windows 10 update error 0x800F0922 and interrupt the update process. Due Windows Update Service Failure. These are the common problems with the earlier Windows 10 updates, but with the release of KB4074588 or KB3213986, the situation becomes worse. So here in this article check out the fixes to resolve update error 0x800F0922 in Windows operating system. 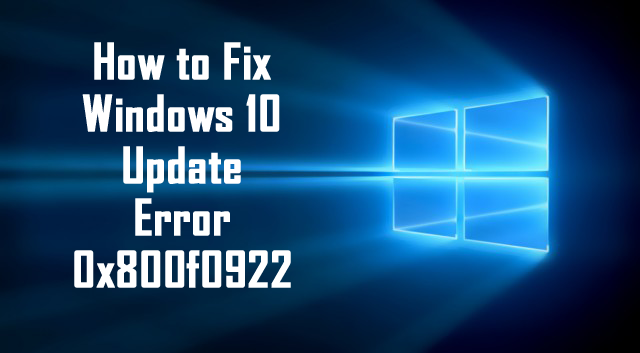 Well, there is no any definite solution that works for you to fix error code 0x800f0922 in Windows 10, but still, there are some working solutions that helped many users to fix the error. However, before moving further it is recommended to try some of the easy workarounds like run SFC scan, scan your system for virus and malware, check the space on the system reverted partition and make sufficient space for the update to install. And restart your system and check whether the error 0x800f0922 is resolved or not. If it is fixed than well and good but if not then try the below-given workarounds. The first steps to fix error code 0x800f0922 in Windows 10 check your internet connection as in many cases this interrupts the update and start showing errors. Try connection through a browser. If in case there is no connection then move on. Now restart your route, PC both. Try to use the wired connection in place of Wi-Fi. And run Windows Update Troubleshooter. Also, disable bandwidth hogging programs such as torrent client and download managers. Well, if your network is working fine but still your facing error than follow the below-given solutions. This is another possible culprit behind getting the error 0x800f0922 windows update. So make sure you are having the latest version of .NET Framework installed on your system. Apart from that, you need to enable it manually in Windows features. First, open Search Windows console > type Windows Features. Now, click Turn Windows Features on or off. Checkmark the boxes related to DotNet Framework > save selection. Now check whether the error is resolved or not. 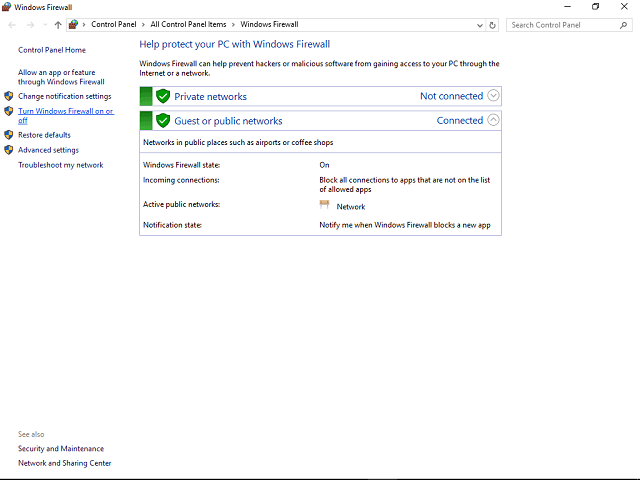 It is found that in many cases the Windows Firewall also prevent updates in some cases. So, in this case, disable Windows Firewall, and then try to install the update. And when the update is installed enable the firewall again. Go to Search Windows > type Firewall. Next open Turn Windows Firewall on or off. Save the selection > try updating now. In some occasions, you are getting the error due to server’s issues. As the server might be under maintenance or down at that time, so make sure to wait and try installing the update after some time. Make use of the professional recommended Windows Repair tool, this is the best tool to fix Windows 10 update error and other issues related to it. This is the best tool to scan, detect and repair various Windows operating system issues such as corruption, damages of the Windows system files, malware/viruses, protect you from file loss, hardware issues and many more. Also quickly fix various issues like BSOD, DLL error, Registry issues, drivers issues, games relates issues, application error and many others. 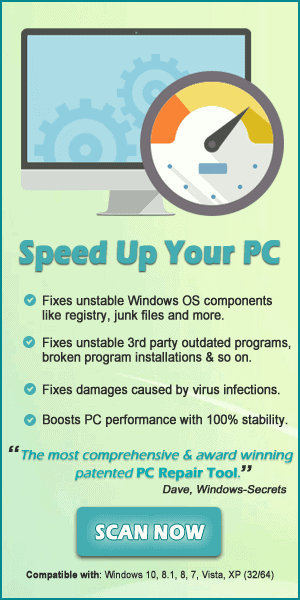 It also helps you to optimize your Windows PC performances and prevents others issues automatically with this software. I tried my best to put together the working solution to fix Windows 10 error. Follow the given methods to fix error code 0x800f0922 on Windows 10. These are easy to follow and help you to resolve Windows update error 0x800f0922. Despite it, scan your system deep for malware with the good antivirus program and update your drivers and Windows system. Doing this will make your PC healthy and perform better.